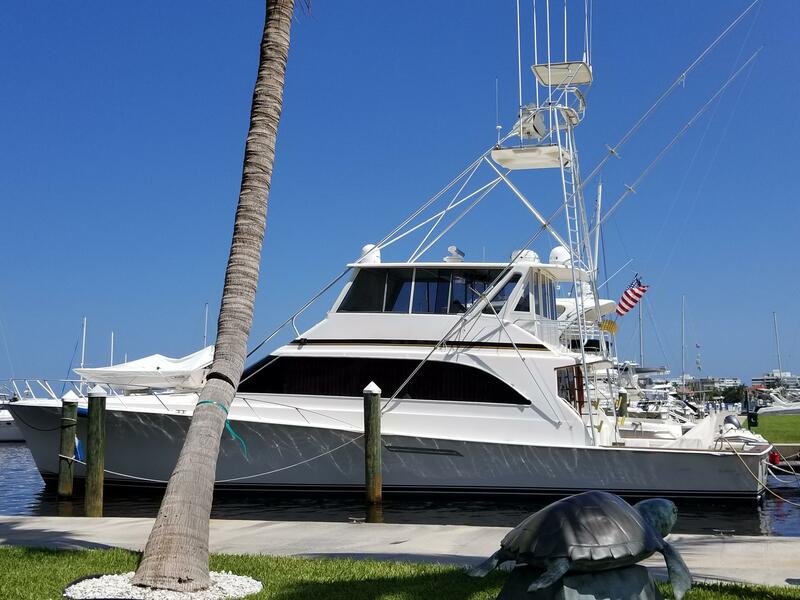 Ocean Yachts is a family-owned company that has been building strong, safe, and seaworthy sportfishing boats and cruising yachts since 1977. 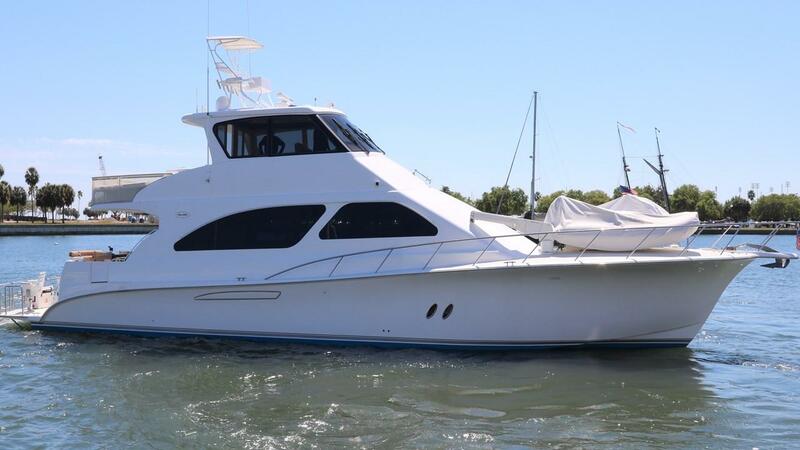 Dedicated to customer service, Ocean Yachts delivers affordable semi-custom yachts that are built fast and cater to customers’ needs. In 1994, Ocean Yachts’ 53 Super Sport was one of the first convertibles to break the 40-knot barrier. 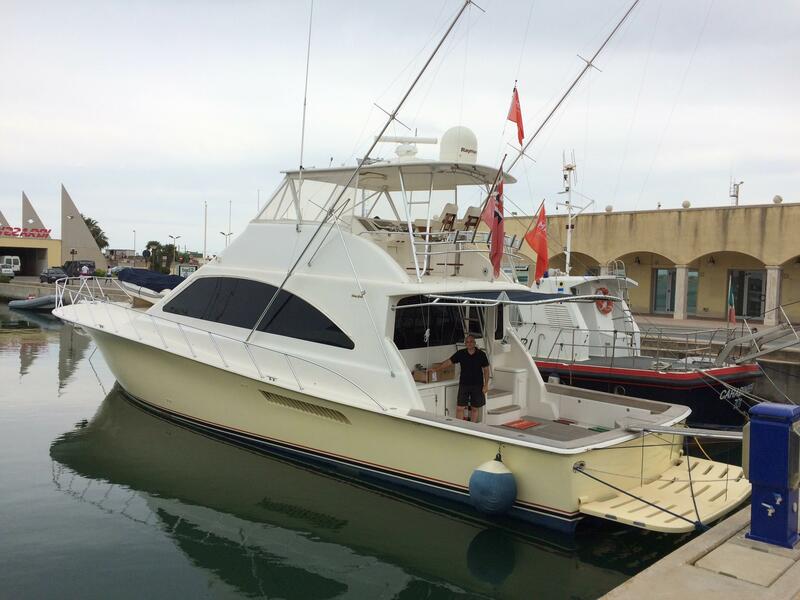 Worth Noting: The Ocean 53 Super Sport was one of the first fishing boats to break the 40-knot barrier in 1994. 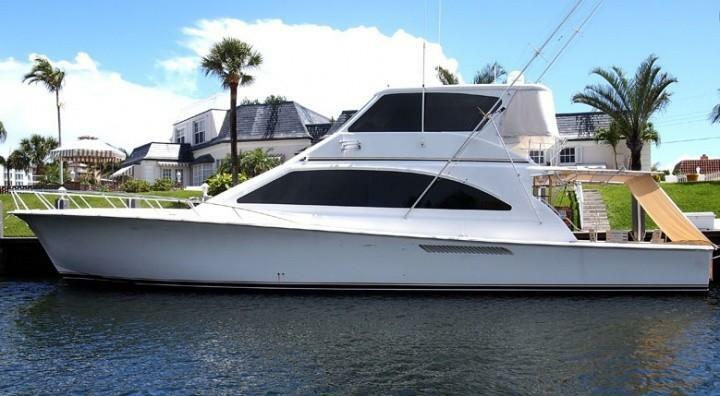 Ocean Yachts 32 Super Sport 1989 - 1992 32' 0" 12' 4" 2' 6"
Ocean Yachts 35 Super Sport 1988 - 1994 35' 0" 13' 0" 2' 11"
Ocean Yachts 37 Billfish 2009 - Current 37' 8" 13' 10" 2' 6"
Ocean Yachts 38 Super Sport 1984 - 1991 38' 4" 13' 8" 3' 2"
Ocean Yachts 38 Super Sport 1992 - 1995 38' 9" 14' 2" 3' 8"
Ocean Yachts 40 Super Sport 1977 - 1980 40' 2" 14' 4" 3' 0"
Ocean Yachts 40 Sport Fish 1999 - Current 40' 4" 14' 2" 3' 8"
Ocean Yachts 40 Super Sport 1997 - Current 40' 4" 14' 2" 3' 8"
Ocean Yachts 40+2 Trawler 1978 - 1980 42' 0" 14' 4" 3' 6"
Ocean Yachts 42 Sunliner 1981 - 1985 42' 0" 38' 0" 14' 4"
Ocean Yachts 42 Super Sport 1980 - 1983 42' 0" 14' 4" 3' 4"
Ocean Yachts 42 Super Sport 1991 - 1995 42' 0" 15' 0" 3' 7"
Ocean Yachts 42 Super Sport 2000 - Current 42' 1" 15' 4" 3' 11"
Ocean Yachts 43 Super Sport 2000 - Current 43' 10" 15' 2" 3' 7"
Ocean Yachts 44 Motor Yacht 1992 - 1999 44' 0" 15' 0" 3' 7"
Ocean Yachts 44 Super Sport 1985 - 1991 44' 0" 15' 2" 3' 6"
Ocean Yachts 45 Super Sport 1996 - 1999 44' 8" 15' 2" 3' 7"
Ocean Yachts 46 Sunliner 1983 - 1986 46' 0" 15' 2" 3' 6"
Ocean Yachts 46 Super Sport 1983 - 1985 46' 0" 15' 2" 3' 6"
Ocean Yachts 46 Super Sport 2005 - Current 46' 6" 15' 10" 4' 2"
Ocean Yachts 48 Cockpit Motor Yacht 1993 - 1999 48' 0" 15' 0" 3' 7"
Ocean Yachts 48 Super Sport 1986 - Current 48' 0" 15' 2" 3' 6"
Ocean Yachts 48 Motor Yacht 1989 - 1994 48' 6" 16' 4" 4' 0"
Ocean Yachts 48 Sport Fish 1997 - Current 48' 8" 16' 0" 4' 0"
Ocean Yachts 50 Super Sport 1982 - 1985 50' 0" 16' 0" 4' 2"
Ocean Yachts 50 Super Sport 2004 - Current 50' 0" 16' 9" 4' 5"
Ocean Yachts 52 Super Sport 2001 - 2006 52' 7" 16' 4" 4' 4"
Ocean Yachts 53 Motor Yacht 1988 - 1991 53' 0" 17' 2" 4' 6"
Ocean Yachts 53 Super Sport 1991 - 1999 53' 0" 16' 0" 4' 4"
Ocean Yachts 54 Super Sport 2007 - Current 54' 6" 16' 10" 4' 0"
Ocean Yachts 55 Sunliner 1983 - 1986 55' 8" 16' 4" 4' 4"
Ocean Yachts 55 Super Sport 1981 - 1990 55' 8" 16' 4" 4' 4"
Ocean Yachts 56 Cockpit MY 1990 - 1991 56' 0" 16' 4" 4' 0"
Ocean Yachts 56 Super Sport 1999 - Current 56' 0" 16' 10" 4' 5"
Ocean Yachts 57 Super Sport 2003 - Current 57' 0" 16' 10" 4' 10"
Ocean Yachts 58 Super Sport 1990 - 1993 58' 0" 17' 6" 4' 10"
Ocean Yachts 60 Super Sport 1996 - Current 60' 0" 17' 0" 4' 8"
Ocean Yachts 62 Super Sport 2002 - Current 62' 0" 17' 5" 5' 0"
Ocean Yachts 57 Odyssey 2004 - Current 63' 8" 16' 10" 4' 10"
Ocean Yachts 63 Super Sport 1986 - 1991 63' 0" 17' 8" 4' 8"
Ocean Yachts 64 Makaira 2010 - Current 64' 0" 18' 8" 4' 4"
Ocean Yachts 66 Super Sport 1993 - 1999 66' 0" 17' 8" 5' 0"
Ocean Yachts 65 Odyssey 2003 - Current 67' 6" 17' 5" 5' 0"
Ocean Yachts 70 Super Sport 2000 - Current 70' 0" 19' 8" 5' 0"
Ocean Yachts 73 Super Sport 2005 - Current 72' 6" 19' 8" 5' 0"
In 1977 Jack Leek launched Ocean Yachts with the company's first boat - a 40' sportfisherman. But Jack was not the first Leek to build boats in New Jersey. In fact, Leeks have been building and launching them in the historic Mullica River since 1721. Ocean's heritage reaches as far back as the original American colonies. Leek-manufactured vessels helped develop our coastal and river trade, create a rich fishing industry, battle pirates and privateers, intercept rum runners during Prohibition and German U-boats in World War II. We can justly say that the Leek family's involvement in the American maritime industry is as old as the industry itself. Today's Ocean Yachts may have little in common with those early Leek vessels. But they express - in fiberglass instead of wood - the same spirited determination to produce the highest quality yachts in the world. 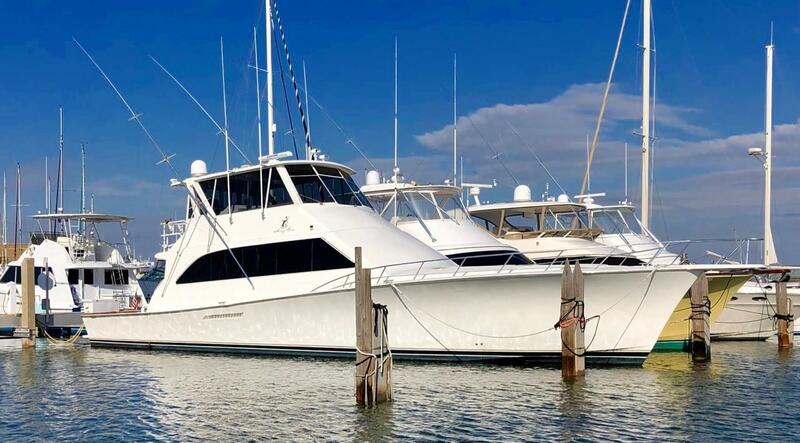 It is this resolve that has made Ocean Yachts the world's largest producer of quality-built Super Sports, Sport Fish, and Odyssey models in the 40' to 73' class. Our yachts are valued by thousands of owners - running in all the world's great seas - for their unbeatable combination of performance, speed, power, luxury, styling and durability. 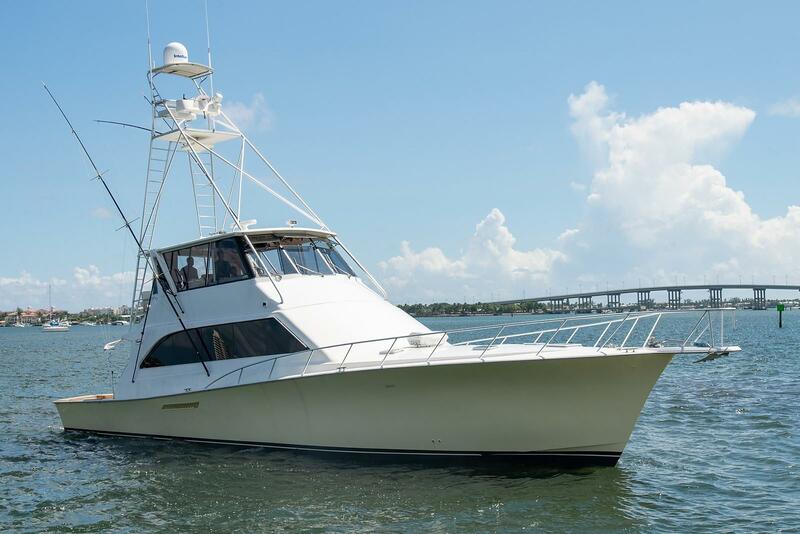 Boats that appeal to serious sportfishermen and devoted pleasure cruisers, alike.